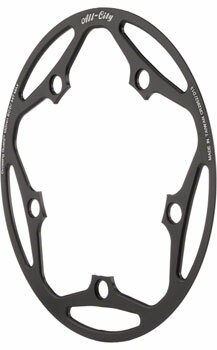 All City Chainring Guard for keeping that chain in place and your trousers from getting greasy. Pretty simple stuff and works like a charm. Available in 44T 130 Only.